Lecturers: Dr. Dan Hagi D.D.S, F.A.G.D., F.I.C.O.I.. The objective of this course is to provide the participant with a deep theoretical knowledge on the prosthetic restoration of all-ceramic dental implants. The focus of the presentation will be the prosthetic rehabilitaion of one-piece ceramic implants. Prosthetic principles in restoring Ceramic Implants. Treatment planning the final restoration. 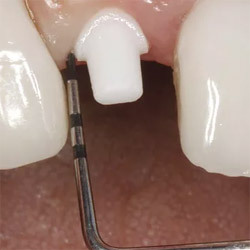 Including confirming integration, restorative material selecetion and cement use. Impression taking and prosthetic phases from start to finish.